If you are looking for a reliable, engaging and comprehensive site, then Big Church Christian dating may well be just what you have been looking for. It is one of the most well-established church dating sites out there. Most importantly perhaps, there are almost 110,000 like-minded members and so there is every chance of finding the perfect match, whatever your relationship requirements. 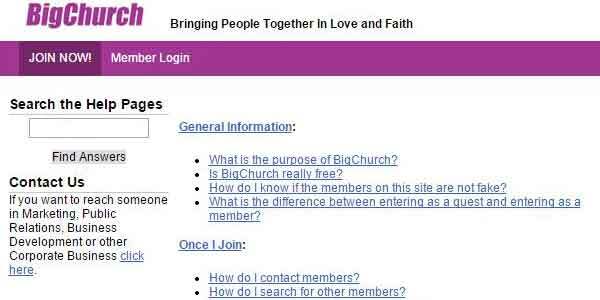 In addition, BigChurch does an excellent job of creating a community of Christian singles, producing a fun, social experience which enables users to share thoughts and ideas. The site is a pleasure to use, packed full of features and all at a very reasonable cost. There is plenty to choose from. If you are looking for a convenient way to connect with other BigChurch.com members, then you can check out the chat room or use the equally convenient instant messaging. Another great tool is the Ice Breakers, which are a really useful way to introduce yourself to other church singles. However, what is one of the most important things to note about Big Church Christian dating, which is hard to find at other dating sites, is the sense of Christian community. Some of the stand out features include the Congregation Wall, where you can share thoughts on faith with other members. There is also a Bible Study Network, with an incredible search function for the entire Bible! You are in safe hands at BigChurch.com. All registrations and pictures are reviewed thoroughly to protect against any fake users. Meanwhile, BigChurch also hands the user a large degree of control, by allowing you to delete any match or indeed member so that you don’t need to encounter them again. The site also provides some valuable safety tips for offline dating too, which are well worth reviewing. Actually, Big Church includes some useful information before you even sign up! On the homepage, which is also your initial sign up page, you can see at a glance exactly how many members are currently online and how many are in your country. Some church singles sites will require you to fill in lengthy personality tests. However, Big Church is much more straightforward. The whole process should not take too long and requires you to simply fill in some essential details. Information you need to submit includes age, gender, physical information, your relationship with God and a photo. It is worth taking some time to consider your introduction though, where you get to summarize yourself. There are 3 membership categories. The free Standard package allows you to create a profile, use the chat rooms and respond to e-mails (although you can’t send unsolicited e-mails). Meanwhile, there are 2 paid packages too, Silver and Gold. For a monthly cost of $19.99, Silver members can initiate e-mail contact with other users, submit as many as 5 photos and carry out more advanced searches for potential matches, including crucially location. Meanwhile, Gold members receive enhanced customer support including an optional profile review. Most valuably, they also appear higher in member searches. The monthly cost is $29.99. Premium packages are available for a multi-month discount. In short, you will have no problems finding your way around Big Church. The site itself is clearly laid out, including a simple navigation menu and clear instructions when needed. The instant message feature is an especially convenient way to communicate with other users, as it is quick, efficient and direct. If you want a quick overview of your activity, then there is a great status tool which allows you to see who has viewed your profile, interacted with you or added your profile to their favorites. Searching for potential matches really is as simple as clicking a few basic fields. The Quick Search is based only on age, location and photos. If you are looking for something more in depth, then you can either select from around 250 individual fields or use the keyword search. You also have the option of employing the useful Deal Breaker tool, which specifies characteristics to be avoided at all costs. And if searching yourself sounds like too much effort, BigChurch will also send you a weekly e-mail to suggest matches. While some Christian dating sites like CatholicMatch are dedicated to a single denomination, Big Church.com is tailor made for Christians of all denominations. 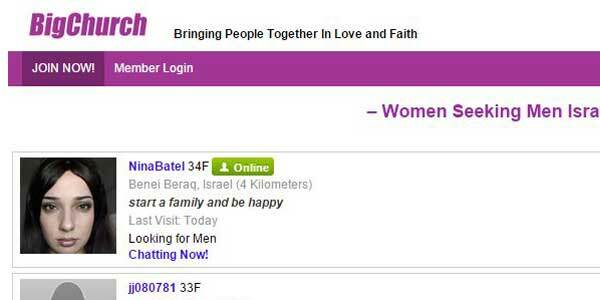 From the homepage which includes a Biblical quote to the overwhelming feeling of Christian community, this is unmistakably a Christian dating site. How else would you describe a platform which allows you to find the love of your life while searching the Bible at the same time? BigChurch can best be summed up in one word – Remarkable. This is a website which successfully combines all the tools and components of an outstanding dating website, with the warm atmosphere of a Christian community. Easy to use and good value for money. Checking out Big Church is a must.